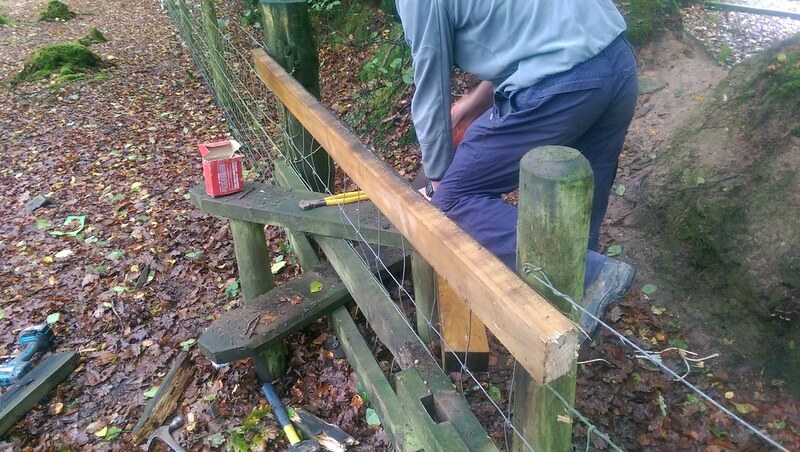 Today we set out with several maintenance jobs to do, re-locating signs, repairing a stile, repairing a dog gate and putting up new signs. 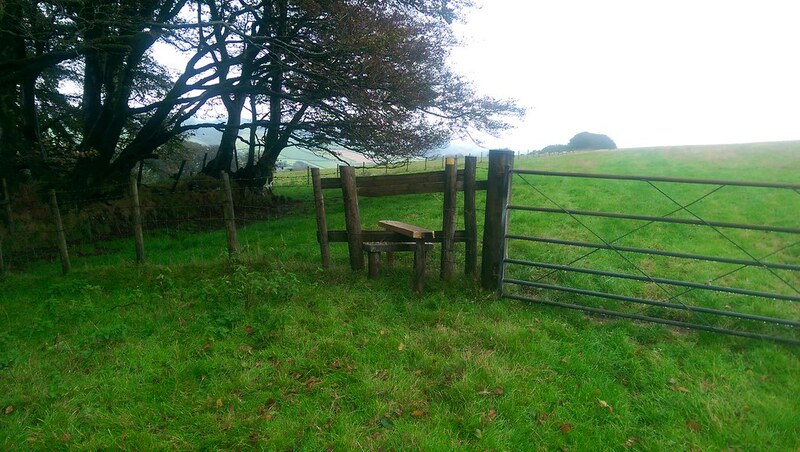 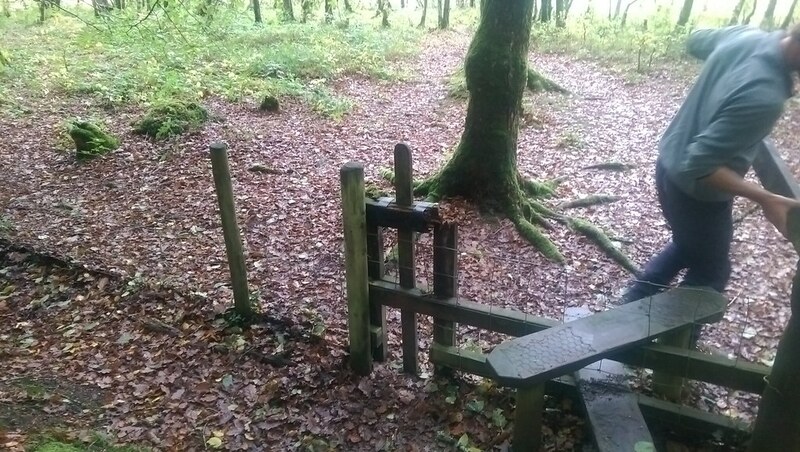 The first job was repairing the dog gate, the old rails had rotted through and needed to be replaced, but the original gate furniture was still in good order so we were able to use this. 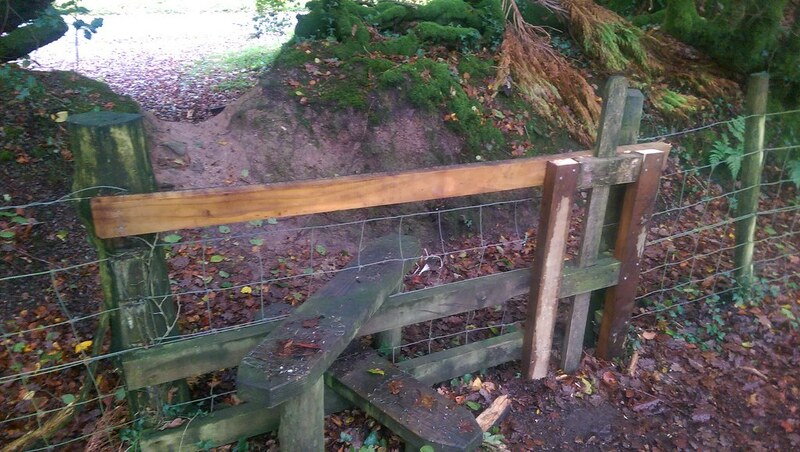 Once the old rails were removed from the stile, we cut new rails to fit and then removed the old furniture from the old rails to fit to the new rails. 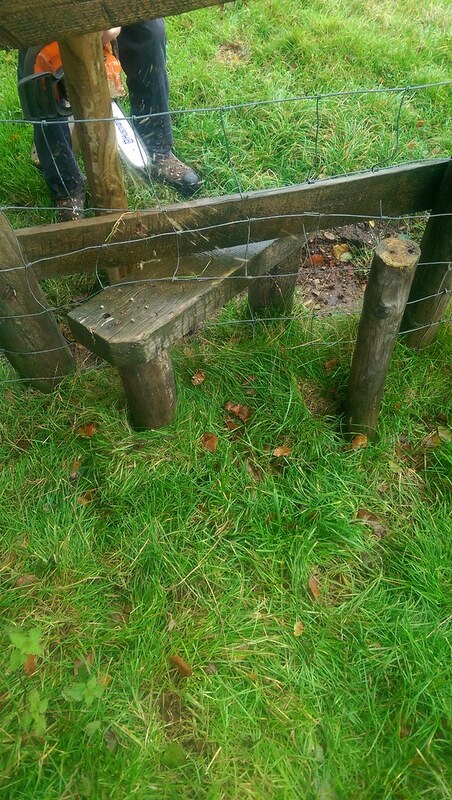 Once all the furniture was fitted, we tested the dog gate to make sure it moved freely and functioned as expected. 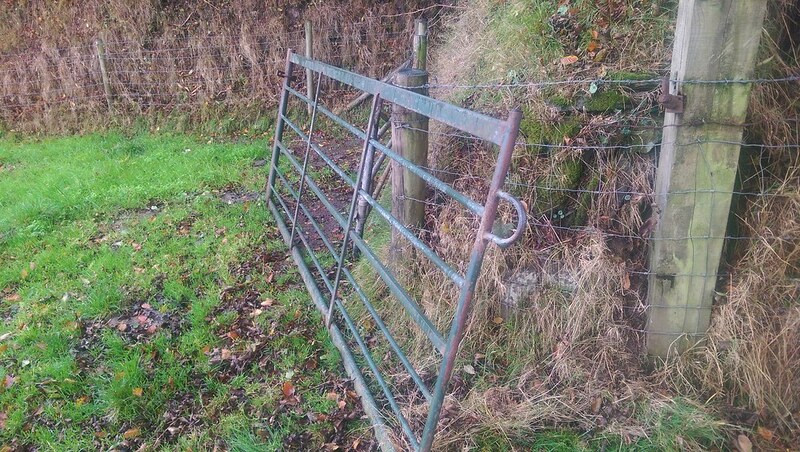 The next job was to hang a farm gate. 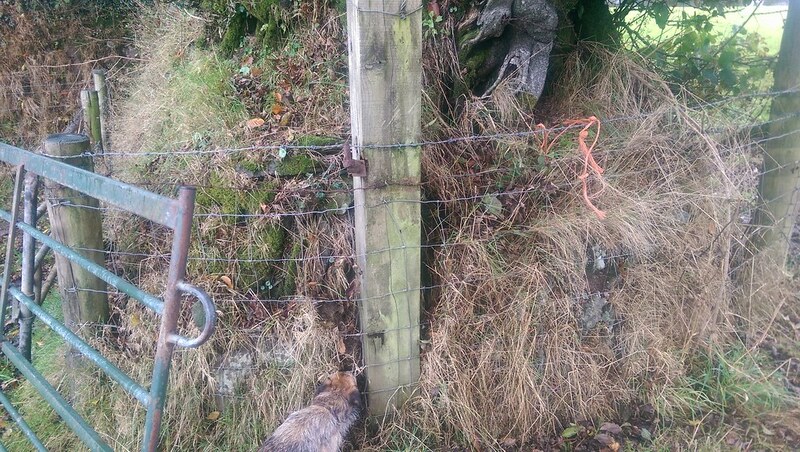 Due to harassment from protesters against the badger cull, we visited the farmer to announce ourselves and advise him of the work we were carrying out. 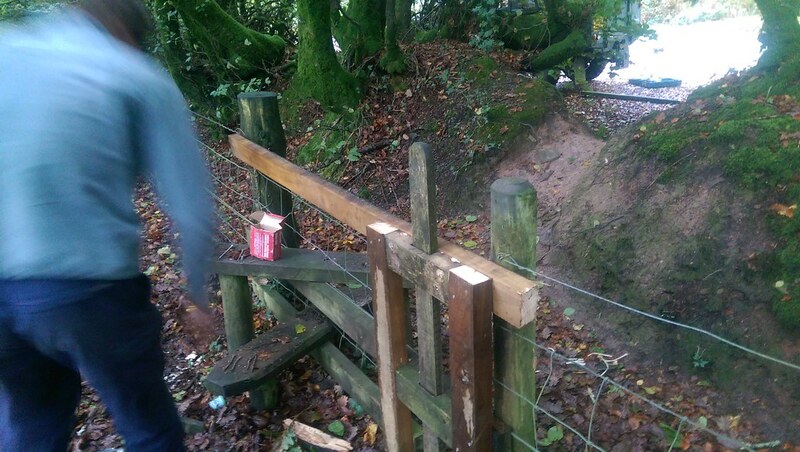 We recorded this and put the ticket aside to take back to the depot. 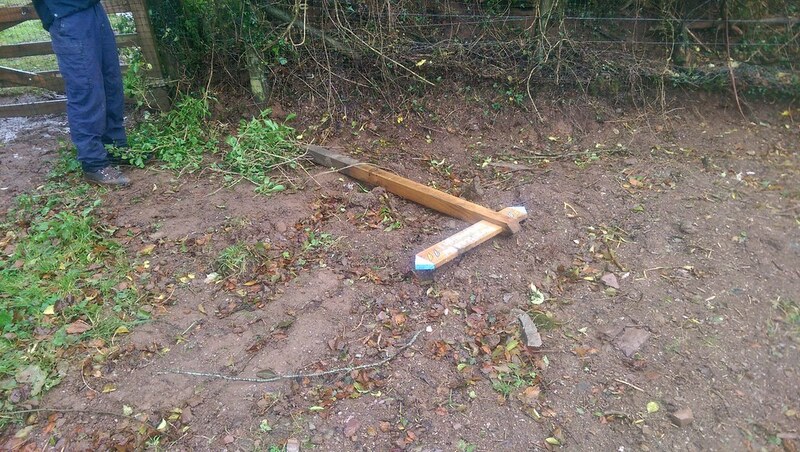 The next job was to move a signpost that had been incorrectly placed, this had come in as an urgent job as it was causing confusion with walkers using the wrong paths. 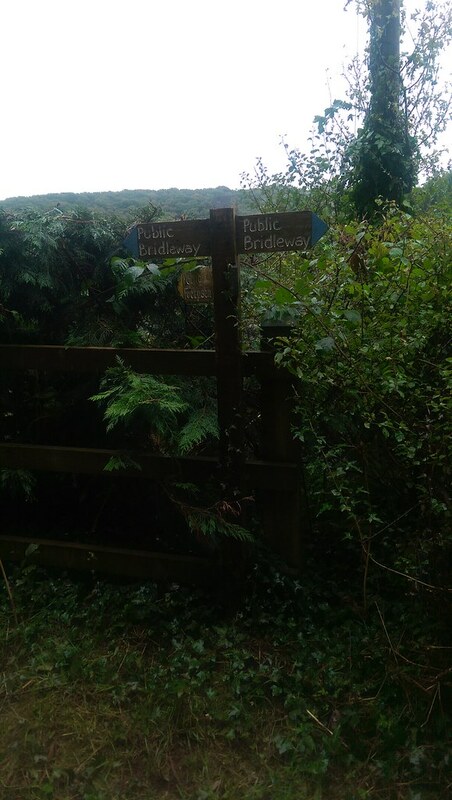 Just down the path from this job was another sign that had fallen away from the path and needed relocating and attaching to the fence to point. 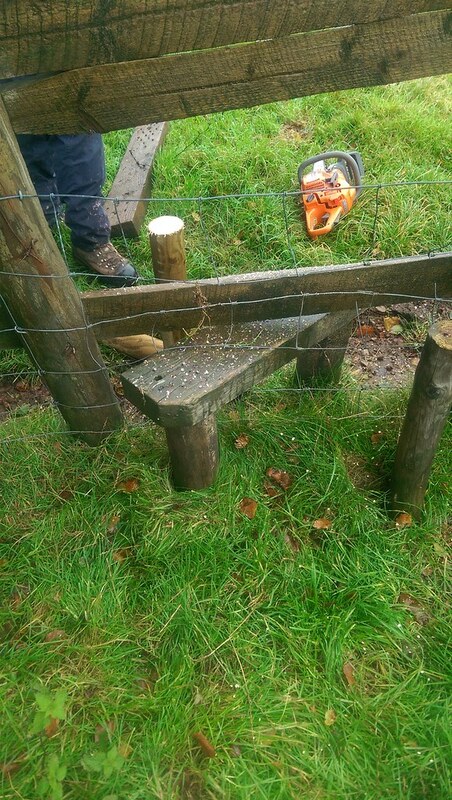 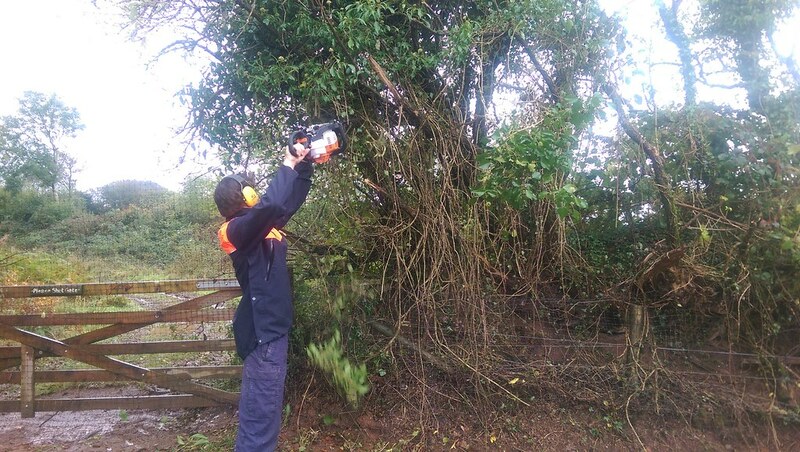 The next job was repairing a stile where the wooden support posts had rotted through and needed replacing. 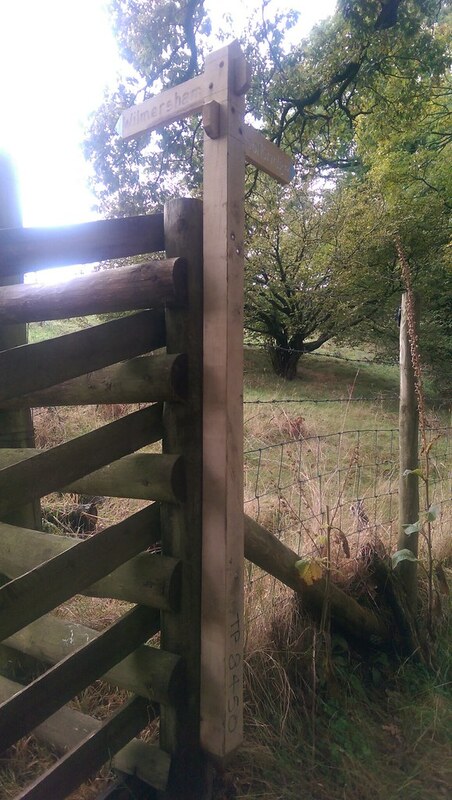 The new post was hammered into place and then trimmed to length. 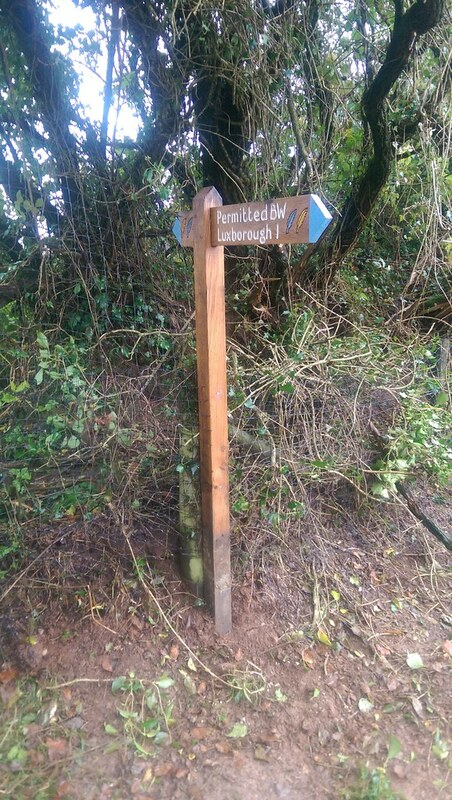 The last job of the day was to fit a new signpost to a path, this sign had been removed by someone and needed replacing.